Exhibition Dates: May 31–June 25, 2017. 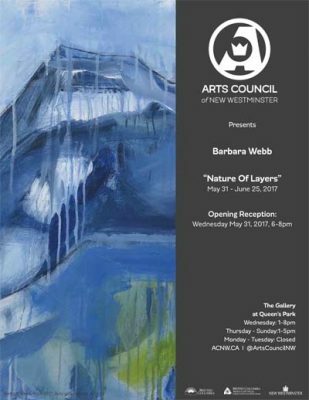 The Gallery at Queen’s Park is pleased to present New Westminster artist Barbara Webb. Barbara Webb’s paintings are aesthetic translations of her environment. 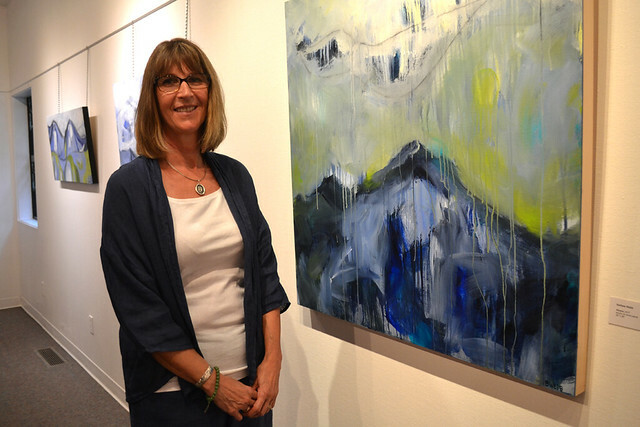 Exploring her emotional connections of daily life through abstract impressions of her surroundings, Webb focuses on the colours, shapes, textures, and concepts of the natural and man-made forms of Coastal British Columbia. Her empirical perspective is employed through her use of photography to document the mountains, skies, and waters of the west coast to provide references to produce her abstract renderings. Through her work, Webb aims to engage the viewers own evolving relationship to the local landscape. 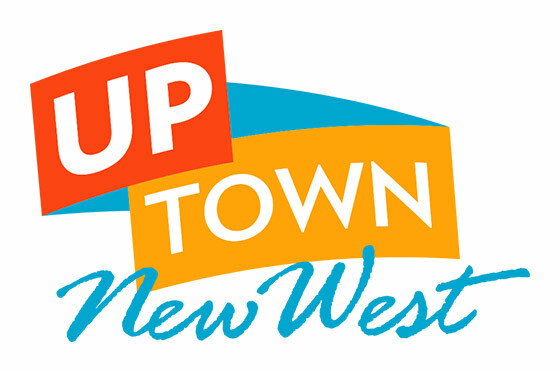 Barbara Webb is a New Westminster artist working mainly in acrylic and mixed media. Her passion in art began with photography; she continues to find this provides inspiration for her artwork. Many of her works are abstract in design, merging texture, shape and colour to represent landscapes, nature or man-made structure. She has a Certificate in Fine Art Techniques from the Emily Carr University, Vancouver, BC.